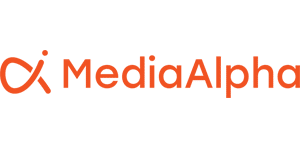 LOS ANGELES, Oct. 30, 2018 – MediaAlpha, a pioneer in programmatic platforms for native search and metasearch media, today announced unparalleled year-over-year growth in the travel vertical and the appointment of two strategic new hires, helping to expand its European footprint. The company reported substantial growth in the travel vertical, one of its key sectors. This year, the company saw a 143 percent increase in clicks with an overall 106 percent growth in revenue. To support this advancement, MediaAlpha recently appointed two new hires, Ingrid Miller and Denis Palmer. Miller will head the travel side of MediaAlpha as its General Manager of Travel, having spent nearly a decade leading advertising product management at travel sites including Expedia and KAYAK. Palmer joins MediaAlpha as the Director of Supply Partnerships from LiveRamp, where he oversaw business development, having been initially involved in the UK launch and scaling up of the company. In addition to expanding its travel footprint and leadership team, the company earned several high-profile accolades recognizing its strong record of innovation and demonstrated success. Inc. Magazine included MediaAlpha on its 37th annual Inc. 5000, the most prestigious ranking of the nation’s fastest-growing private companies. Additionally, the organization was highlighted as one of Inc. Magazine’s Best Workplaces and also earned a coveted spot on the Los Angeles Business Journal’s Best Places to Work list. Selected for his dynamic leadership and dedication to building a stronger Seattle business community, MediaAlpha’s chief technology officer Eugene Nonko was named one of Puget Sound Business Journal’s 40 Under 40.